Cyprian Fernandes: Headlines of my life! A gentleman walked on Jaffa Dr.
23 February will always be a hard day for me, because one week ago on that day in the early hours of the morning my wonderful brother Eugene left us for his celestial abode. Celebrate my brain says, for he has gone home to his Heavenly Father where there is no more pain.... but without him around it's hard to do so, and the tears aren't dry yet. Then I think of the memories he left us with and a smile soon lights up my face. Besides being brothers, the closeness of our ages cemented us together.....helping or defending the other whenever/wherever was a natural reaction. This was played out growing up together in our humble dwelling in the Railway Quarters in Nairobi, Kenya. We cheered the other in sports, defending the other when we got into trouble and generally helping out with school work. In Primary school, I recall being incensed when Eugene was harshly punished by a certain Indian educated teacher....so upset I was, that I marched to her office to challenge her! In secondary school, we got in trouble for overstaying at the local agricultural show and covered for each other so we wouldn't get into further trouble with mum, for being home late. For extra curricular activities he persuaded me to join the 'Konkani Club'...what I did not know was, a number of other boys/girls were also persuaded to sign up, to make it a fun class....Konkani learnt-zip, dance moves learnt-plenty! 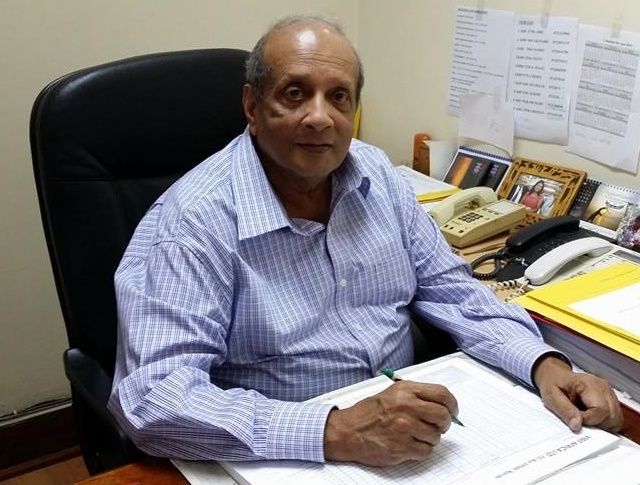 Eugene finished his schooling in 1963 and in early 1964 at age 17 he declared he was going off to the UK with his pal Cyril Rebello and they would be working off their passage on a cargo ship sailing from Mombasa. The rest of us at home all protested that he was too young to take on such an arduous journey, but he insisted and mum taking into consideration the political winds blowing over Kenya gave in. Approx 2 years later he came home for a holiday and mum was chuffed to see her son smartly dressed in a 3 piece suite looking very suave and gently spoken....a youngster went out and a gentleman came back....where ever he went the admirers gathered and I fielded a lot of their enquiries! I joined him in London in 1970, and there he was at Heathrow to meet & greet me. He always watched over me and helped me settle in. He Introduced me to Saville Row, London's bespoke tailoring street, where he got all his clothing. He told me he was offered a position in Gieves & Hawkes, a bespoke gentleman's clothing house, but turned it down as he did not come to London to be a tailor! We lived in Muswell Hill in N London an aspiring neighbourhood, and Eugene was Mr Muswell Hill....many knew and loved this charming young man. Many moving on from E Africa stayed with him in London and were made very welcome. Marriage soon beckoned and soon along came Karl. And then he was moving on again with his young family to Toronto, Canada.....I was not apprehensive this time around, after all he was an experienced man now. I followed in Eugene's footsteps and moved on to Toronto in 1988 with my family and there was Eugene at Pearson to meet/greet me again...again doing whatever he could to settle me in. He was more settled now, a family man with another lovely son in tow and yet he found time to achieve an accounting designation....full credit to you, Eugene! Eugene was very much like Dad, hard working, always caring and kind.....though he was steps ahead in his dress sense...and he wore it well! Many adjectives aptly apply to Eugene...well-dressed, charming, kind, caring, generous, fun-loving, humorous, readily come to mind. I watched you struggle in the last few days Eugene and yet you never complained, instead you took time to tell me you are at the end of life in an effort to prepare me for the inevitable! Thank you Maureen, Karl, Gavin and your respective families for doing your ALL for Eugene. Thank you Lord for loaning Eugene to us, we loved him in life and will continue to love him in death. And now Eugene you have gone ahead again. When I make it home I'm comforted in the fact that in usual fashion, you will be there to greet me. Yes indeed, a Gentleman, all suave and debonair walked on Jaffa Drive. Thank you, thank you, thank you Eugene for being you.